The fourth edition of the Dhaka Art Summit (DAS), curated by Diana Campbell Betancourt, Artistic Director of the Samdani Art Foundation, will be held from 2 – 10 February 2018. Produced by the Samdani Art Foundation, DAS 2018 will be held in a public-private partnership with the Bangladesh Shilpakala Academy, the country’s National Academy of Fine and Performing Arts, with the support of the Ministry of Cultural Affairs and Ministry of Information of the People’s Republic of Bangladesh, the National Tourism Board, the Bangladesh Investment Development Authority (BIDA), and in association with the Bangladesh National Museum. The 2018 edition of the summit will include a series of new paintings by Liu Xiaodong, which were made in and feature scenes of Bangladesh. From 6–8pm on 2 February, Haroon Mirza will participate in a performance called Total Anastrophes, 8th Volcano Extravaganza, in which he will transform the inside of an auditorium into the inner echo chamber of an active volcano. Performative interventions evoke themes of isolation and distance; memory and mysticism; cosmic energy and the violence of nature; improvisation and theatre. 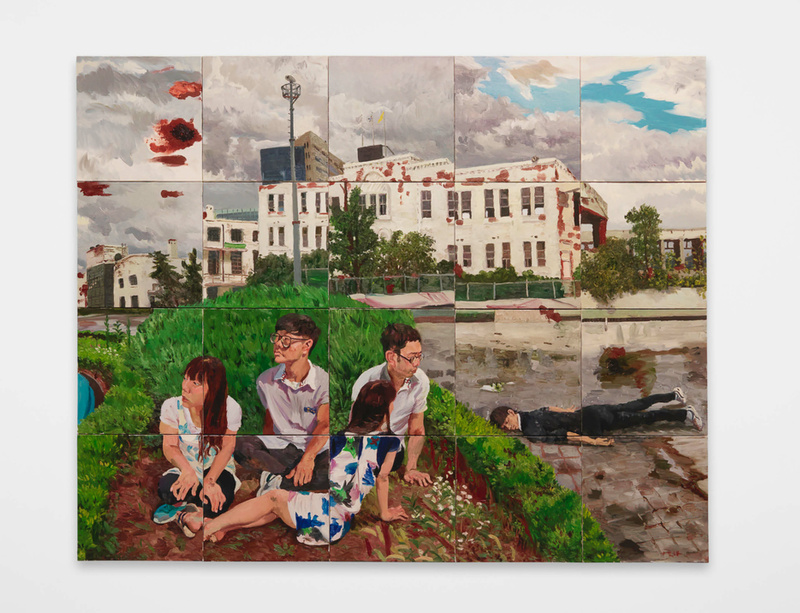 Image: Liu Xiaodong, Time, 2014. Oil on canvas, 20 canvases 60 x 60 cm (23.6 x 23.6 in) each © The Artist.